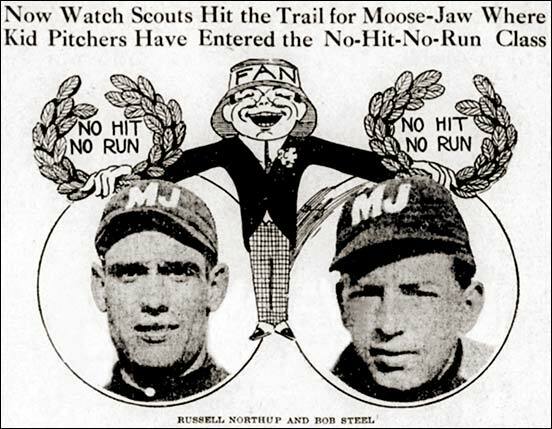 Moose Jaw's Russell Northrup and Bob Steele gained notoriety across North American in 1913 after, within four days, the young hurlers each tossed a no-hitter. Northrup won 19 games that season but failed to advance past the Western Canada League playing in Saskatoon in 1914 before ending his professional career. 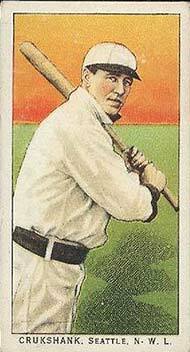 Steele, who went 17-9 in 1913, went on to suit up in the majors for four seasons. The 1913 roster of the last-place Regina Red Sox included 23 year old outfielder Ken Williams. He moved up to the Cincinnati Reds in 1915 and stuck in the majors until 1929, mostly with the St. Louis Browns. Compiling a lifetime major league batting average of .319, Williams didn't become a regular until 1920. In spite of his late blossoming, he led the American League in slugging, total bases, RBI and extra-base hits at various times throughout his career. The 1922 season was undoubtedly his finest as his 39 round-trippers and 155 RBI with the Browns topped the junior circuit. That same campaign, he became the first major league player to collect 30 homers and 30 stolen bases in the same season, a feat not equalled for 34 years. An aggressive player with few friends outside his own team, Williams earned the distinction of being Ty Cobb's most hated opponent. 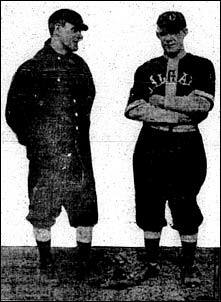 Jack Smith (right) an 18-year-old outfielder with the Regina Red Sox hit just .239 in his inaugural season in Canada. But Smith returned to the Western Canada League in 1914 to hit .282 with 19 triples on the way to a 15-year career in the major leagues mainly with the St. Louis Cardinals. He played in the big leagues until 1929. Below - left, Calgary hurler Fred Barnstead and outfielder James Flanagan, Moose Jaw catcher Otto Moore and Regina manager Charles Stis. 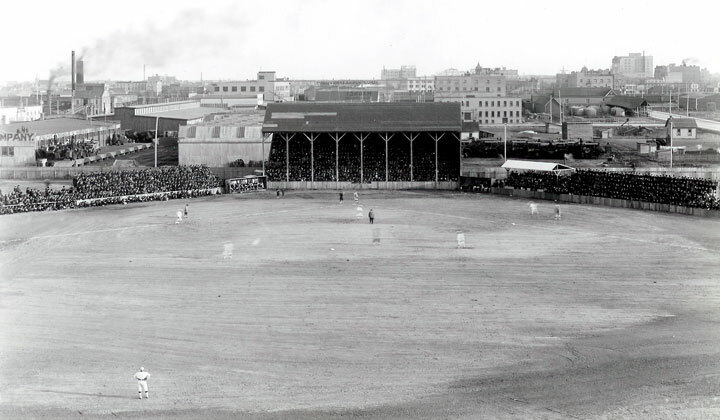 Photos of Western Canada League action in 1913 at Dominion Park in Regina (Broad Street and 7th Avenue) where the Regina Red Sox played their home games. © Copyright 2010. JDM. All rights reserved.